Kwak Si-yang stars in the tvN drama "Chicago Typewriter" as 'Salieri of Literature' Baek Tae-min. Along with popular writer Han Se-joo (Yoo Ah-in), Baek Tae-min rivals in terms of talent, appearance and popularity. At the same time, he envies Han Se-joo's natural talents. He is like Salieri who envies Mozart in "Amadeus". 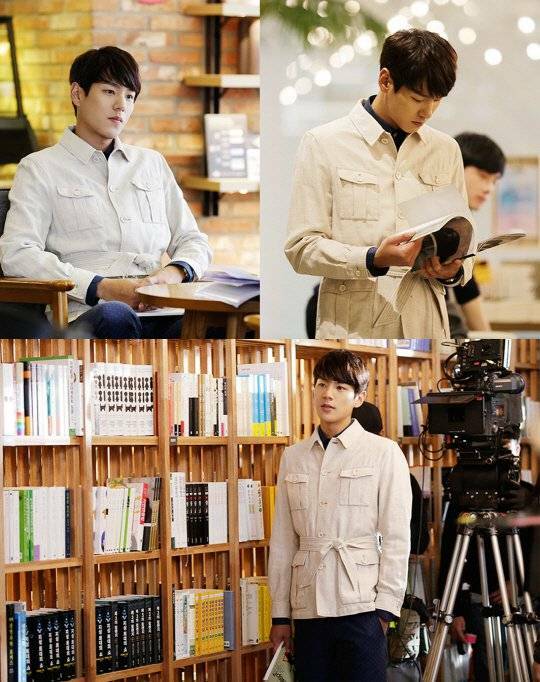 Kwak Si-yang is wearing a cream-colored half-coat while holding a book. He looks calm and elegant but mysterious at the same time. Kwak So-yang will be competing with Yoo Ah-in and Im Soo-jung in "Chicago Typewriter". About the drama, the actor said, "The story is interesting and unique while the characters are lively". Meanwhile, "Chicago Typewriter" is based in the 1930s, about a genius writer who is going through a bad time, a ghost writer who writes for him and a fan that turns anti. ""Chicago Typewriter" Kwak Si-yang's first take "
Lee Jung-jae, Kim Woo-bin to star in Choi Dong-hoon's "Wiretap"
Lee Joon-gi is in a relationship with Jeon Hye-bin, posts on SNS on her birthday, "Hello my love"